Elie Saab brings refreshing changes in his design, by inserting more prints and calming the glittering glamour. Lebanese designer Elie Saab presented his Spring 2015 Ready-to-Wear Collection called “Dive Into the Deep Blue” within the Paris Fashion Week. Fluidity, asymmetry, perforated fabrics, ombre effect … the collection is woven with exciting surprises, and is inspired by the sea depths. The fashion show started with creations in colorful patterns and black and white athletic attire, continued with transparent creations of romantic lace, reached a climax with the gowns with dramatic gradation of color and finished with black, white and blue creations with dazzling decorations. 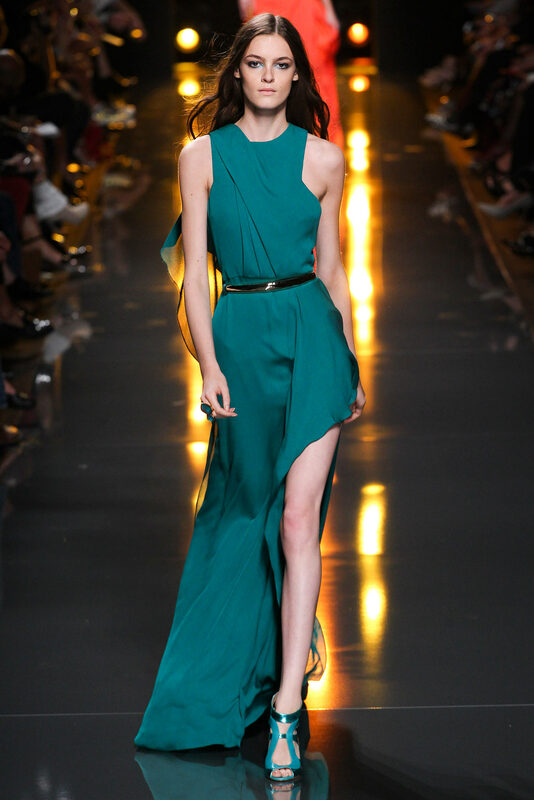 Look at the pictures below and enjoy in this gorgeous collection by Elie Saab.